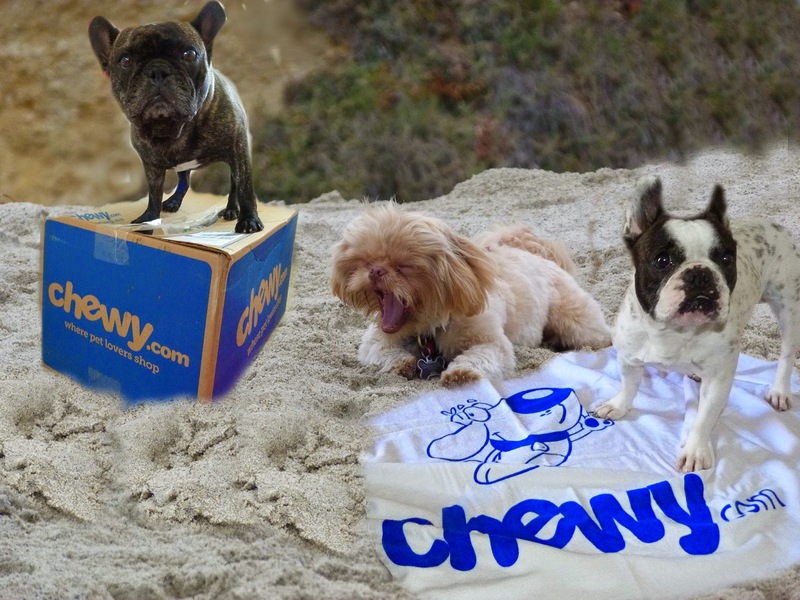 we are participating in a Chewy Beach Pawrty. Love the picture of Edward box surfing. Lily and Edward are the cutest pugs on the beach. 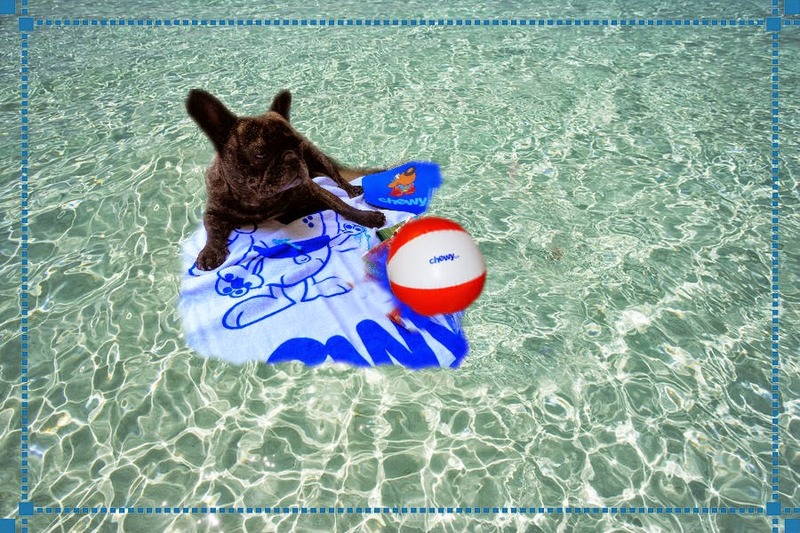 WooHoo Chewy beach day is off the charts fun! What a great time!! You guys down in SoCal really know how to pawty!! You sure make cool beach bums dudes. Have a terrific Tuesday. 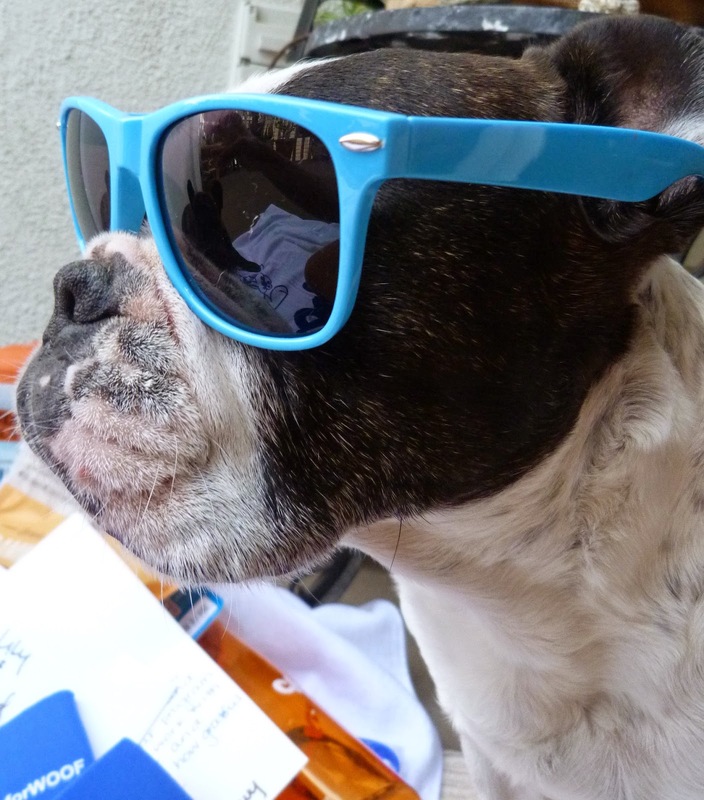 Lily, you really rock those sunglasses. Looks like a great time at the beach. Did they serve y'all margaritas on the beach too. We love Chewy too!! got 2 bags of food from them yesterday and should get our first treats to review soon! We just LOVE our Chewy.com Furends... who take SUCH fine Care of US and OUR NEEDS... Speedy Quick and so REASONABLE. Hey .... SURF's UP.... Let's grab our Boards and HIT THE WAVES... We can Make a SPLASH fur CHEWY and Mr. Andrew. The folks at Chewy are the absolute bestest! Wish I could go to da beach! Does look like a fun beach party. I'm bummed that we didn't get all those goodies from Chewy too so we couldn't pawticipate in this blog hop. Y'all gots some fun beach pawty stuffs. Nice beach party you two! Wowee-- looky all the fun you had!